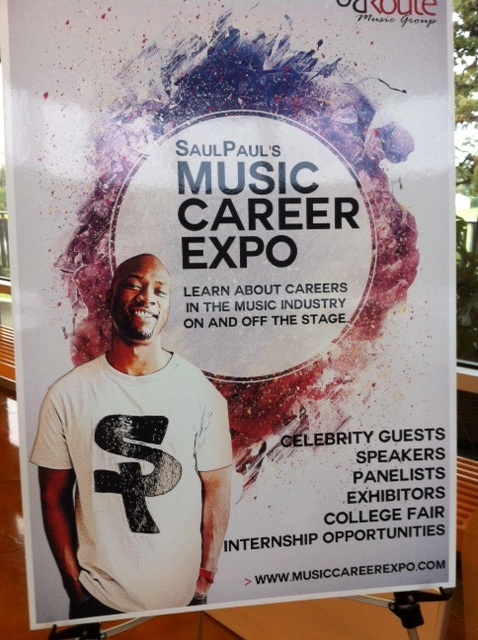 From the publisher: I had the opportunity to attend SaulPaul’s Music Career Expo and see him in action speaking and inspiring young people through his music and his language. This is my first time hearing his message and his music and I was very impressed. This story is my observation throughout the time was I there. SaulPaul, a well- known Austin musician, advocate of education and more, held a Music Career Expo today at the Carver Museum. Over 150 students from AISD, Manor, Pflugerville, and Killeen school districts participated. It was a large group of enthusiastic kids ranging from middle school to high school. 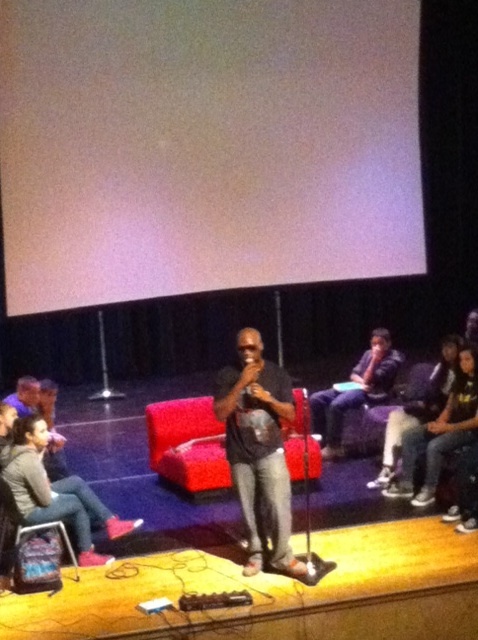 SaulPaul interacted with the students by getting them involved with his presentation. It was not a sit and listen, it was a get involve. Interact. He created the musical background beats and ask the students to give him words. He did not just ask for the word, he would ask the student to spell it if needed. The students were learning but did not realize it. He then took the words and made a rap song on the spot. It was amazing. SaulPaul is very good at what he does. The students responded by clapping and enjoying the music interaction using hand gestures and being a part of the song. The students were presented speakers that are involved with music but not just through playing an instrument and singing. He introduced careers in music that involved a Music Lawyer Joe Stallone, a Music Industry Manager, Amanda Garcia, Singer Eric Moore and Video Game Designer Levon Louis. The students asked questions about the specific industries and questions about how they can fit there dreams into a career. The common thread throughout the presentations were get your education, ask for what you want, look at all your options, find assistance to reach your goals. There were vendors available for students to ask questions, such as the Art Institute, Concordia University, Life Changers, Austin Fire Department and more. 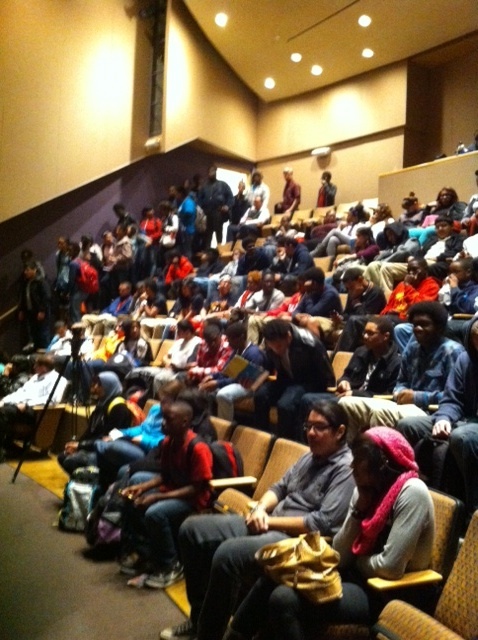 This was a well organized event that gave students music, education and resource information. I hope SaulPaul will do this expo again here in Austin. This is an awesome way to give students options for their future. Thanks to ReRoute Music Group in partnership with the City of Austin Music and Entertainment Division for a great event and Mr. SaulPaul himself. For more information about SaulPaul and his work, please visit http://www.saulpaul.com. Saul Paul is an amazingly talented and gifted young with heart for our youth! Ujima Magazine is a printed and digital publication which tells human interest stories about the “everyday hero” in the Black Community. Hey Y’all It’s Kevin Sandbloom! The social gem of social media has launched a resourceful site to keep you in the loop. Join in the celebration with 1 easy steps. Add your events and we will get the word out about your event to our social media networks for FREE. #WhatsGo #PaigeTurna #TheSocialGem Shametra McGregor is Paige Turna. Visit her site at http://www.paigeturna.com/.